This challenge was suggested by my dad and I was really happy to have a go at this one. 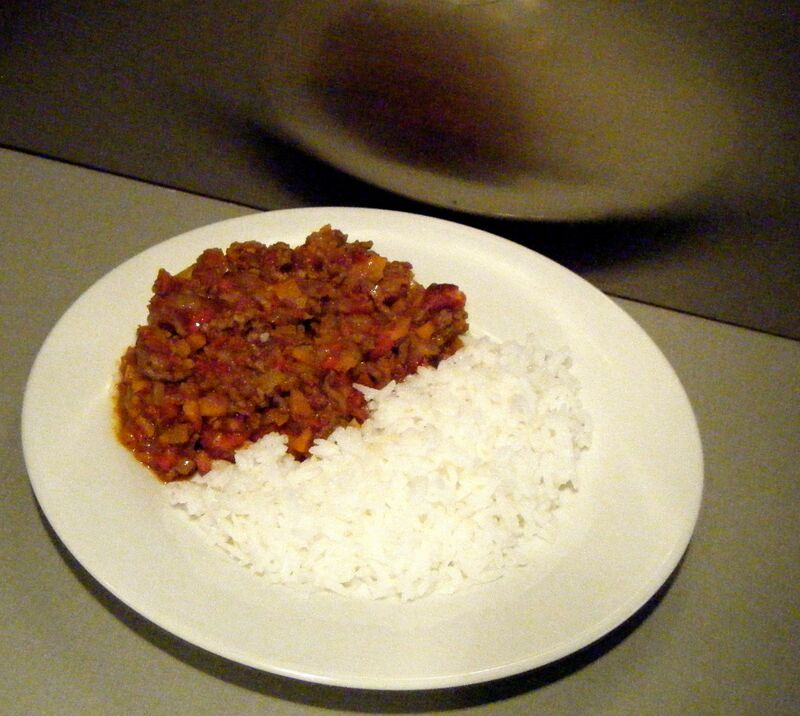 Dave and I quite often have chilli con carne but I always cheat and use one of the sachet powder mixes. Dad’s suggestion was the final push I needed to actually have a go at making it from scratch. I did a little google search and found a huge selection of recipes to choose from. If I’m honest there were too many and I didn’t know which one to go for. Eventually, I opted for this one by Susie Amy. I also added 160g bacon lardons and I left out the kidney beans because neither Dave or I like them. 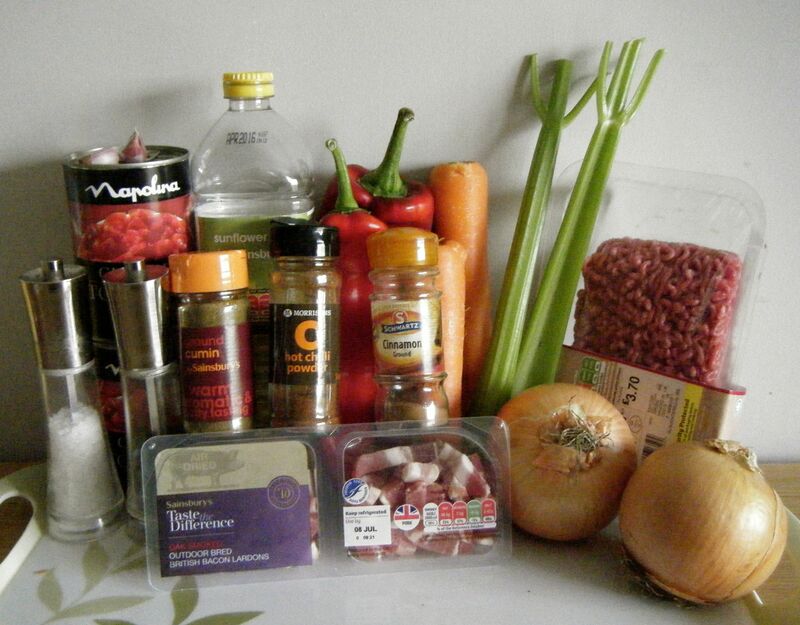 The bacon always adds a lovely taste to my cheats chilli con carne and I thought it would be a nice edition. I had planned to make this on a Sunday so I could give it a nice long slow cook but my parents decided to pop up for a last minute visit and we went out for dinner because they had eaten chilli con carne the night before. I therefore ended up making this after work on Monday night. 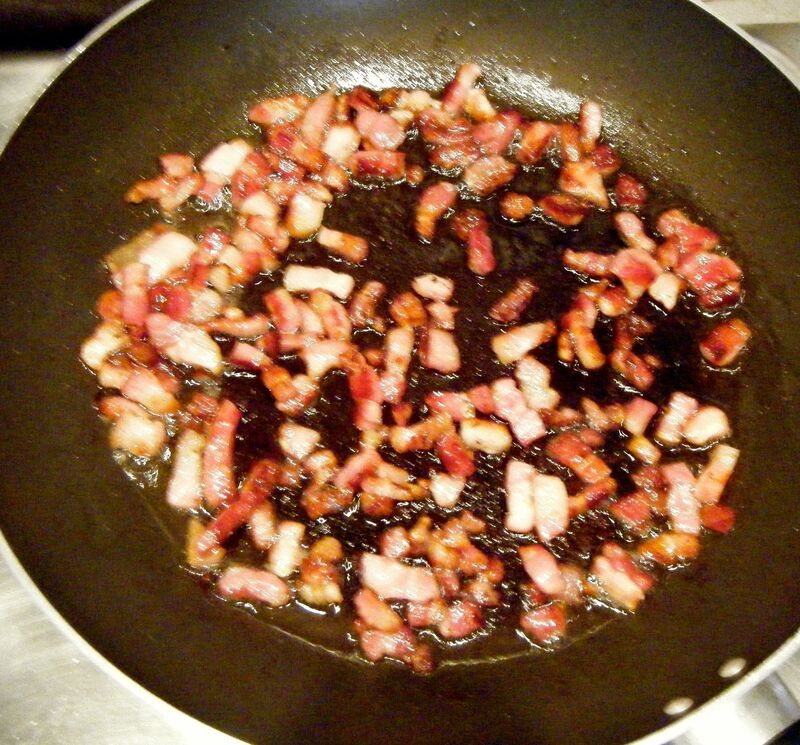 I started by frying of the bacon lardons in a little oil in a large frying pan. 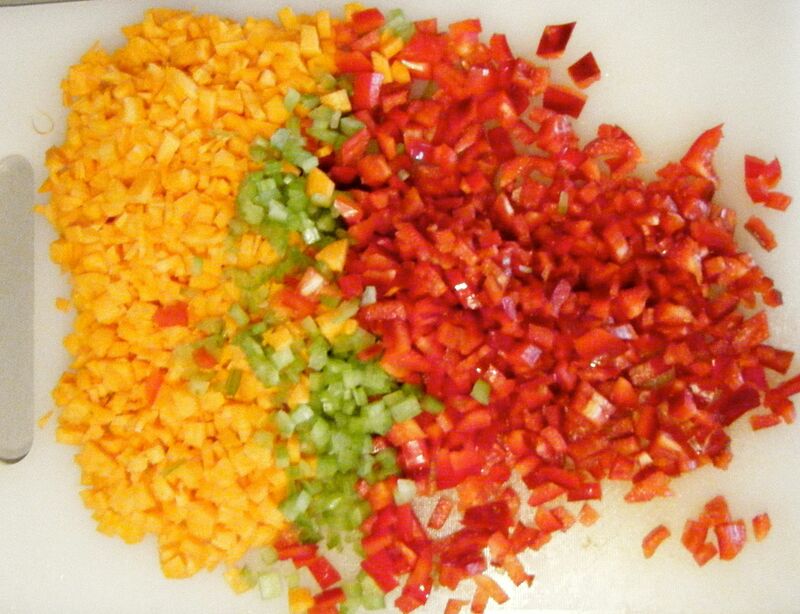 Whilst the bacon was cooking, I started chopping up all the vegetables, making sure they were nice and small. Once the bacon was nicely browned, I tipped them into a big sauce pan along with the fat they had released. 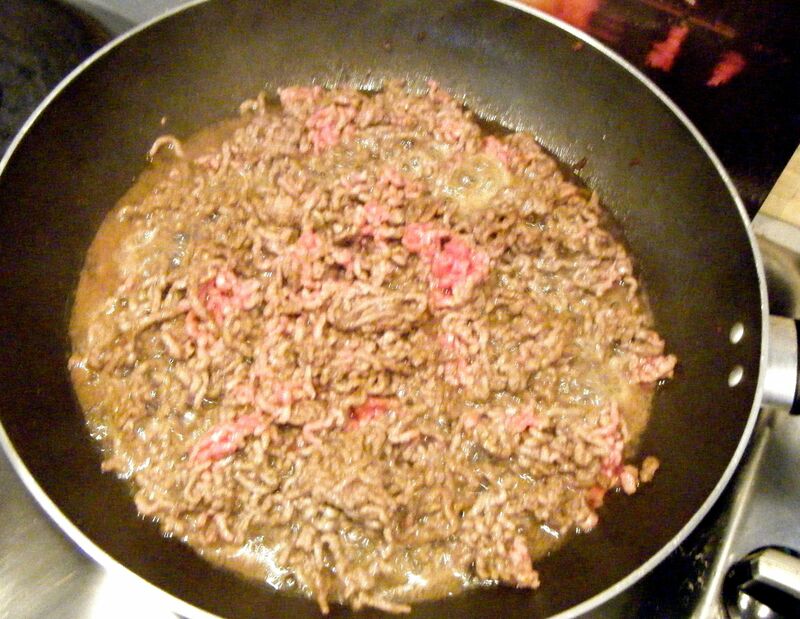 I then returned the frying pan to the heat and added the beef. 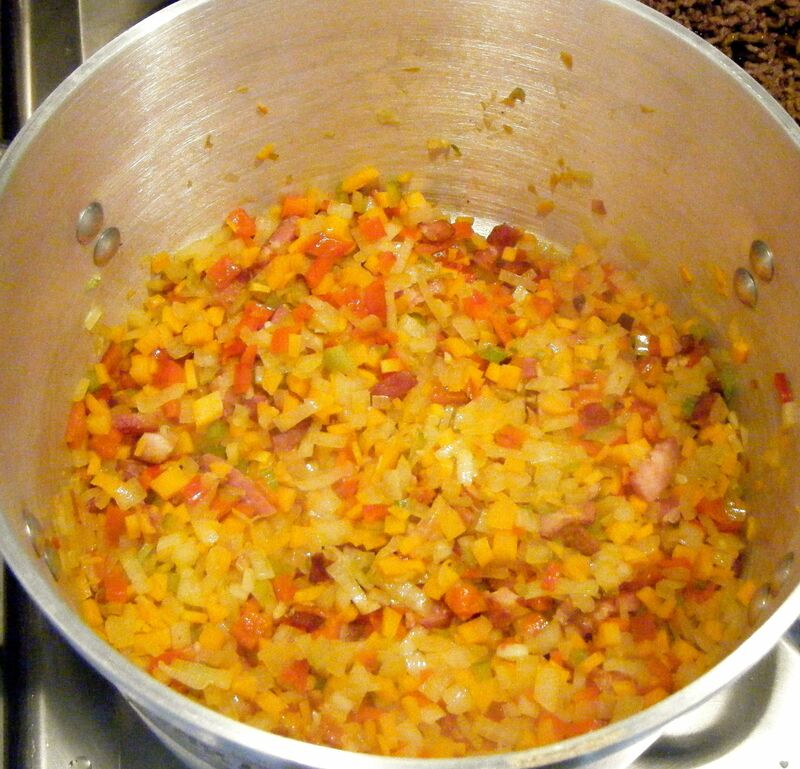 I then added all the vegetables (except the garlic) to the saucepan with the bacon and let this cook over a medium heat for around 10 minutes to soften. After about 8 minutes, I added the crushed garlic. Once the vegetables were soft, I added the spices and some salt and pepper. I gave it a good stir and then let it cook for 5 minutes. At this point, I contemplated adding another ingredient. I thought it would be nice to add some paprika, however, I decided to stick to the recipe. 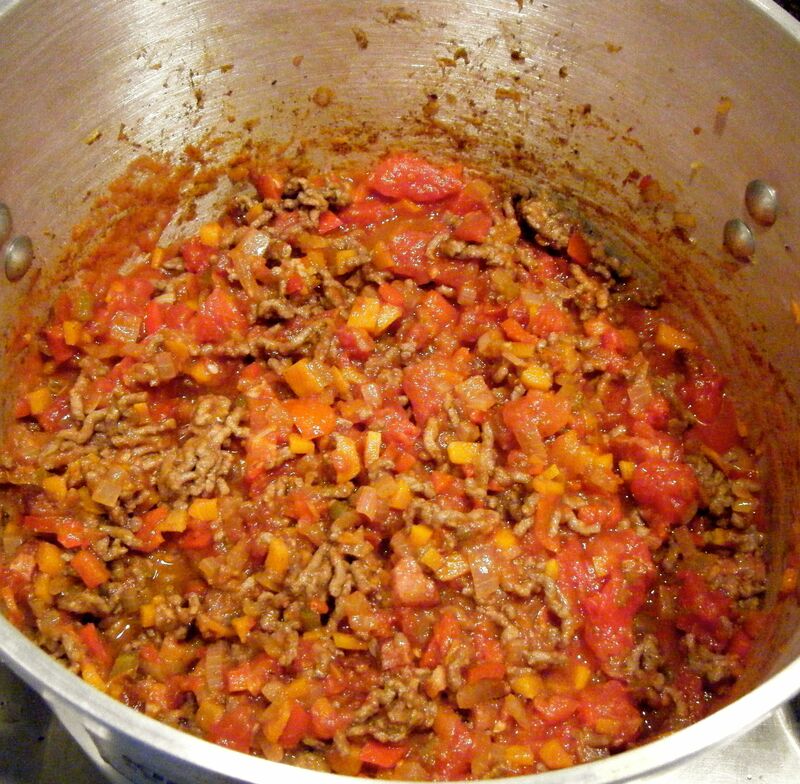 Next up I added the browned mince to the saucepan along with the tinned tomatoes. I brought the mixture to the boil, covered it with a lid and let it cook for one hour. With everything done, I served up with some rice and we tucked in. Dave and I both agreed this was really nice but to be honest it just tasted like a slightly spicy bolognese. Personally we like our chilli a little thicker and smokier. Next time I’m going to try adding some smoked paprika and perhaps take the lid off part way through to allow some of the moisture to escape. My cheats chilli con carne is really good (even if I do say so myself, although Dave and my friend Nikki will also vouch for this!) so it was always going to be tough trying to make something as nice from scratch. This is the first recipe I’ve tried in Challenge 52 where I really wasn’t very happy with the result. The recipe did however make enough for another four portions and chilli is better when its been left for the flavours to blend and strengthen. So, I now have four portions of chilli in the freezer to try another day. This entry was posted in Challenge 52 and tagged Beef, Challenge52, Food, Party by MyGastroAdventure. Bookmark the permalink. Great version of a classic – you can also jazz up a chill with a sprinkle of cocoa powder and/or a splash of balsamic vinegar!